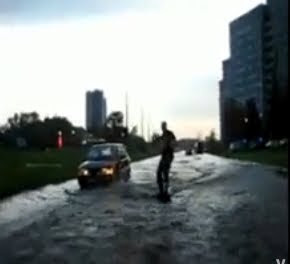 Russian Video: Surfer on the St. Petersburg streets! And here you can watch even more surfing on St.Petersburg streets. Is’not it impressive? This entry was posted in Everyday Life, St.Peterbug on July 8, 2010 by admin. Most impressed was with the amount of water on the streets! Yup, I was impressed by it too!